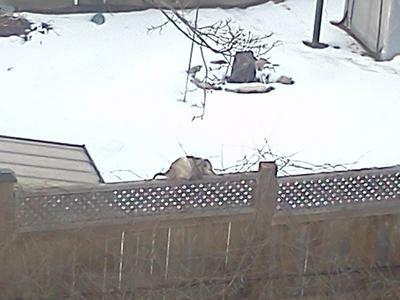 Usually at night, but today it was mid afternoon and it was in plain view just sitting on the fence. Thanks for sending us this cute picture - we have also had the occasional Possum in our yard (we're in St Thomas, Ontario). The ones we see are pretty big - bigger than our cat!